Over 31 days worth of reading, 24 hours a day, 7 days a week: that’s what Poly Drive students pulled off during this year’s Read-A-Thon. One hundred thirty four students participated, reading 44,976 minutes. Their efforts brought in $11,316 from generous sponsors. Here are the students that won prizes during Read-A-Thon. Emma O. (Davey/Crasco) and Zoey T. (Wilcox/Blakesly) won a trip to Barnes and Noble to help Mrs. Caskey select books for the library because they were the second place winners for most minutes read. Raffle prize winners were: Benji B. (water bottle and Wise Wonders Children’s Museum passes), Sophie S. (Centennial Ice Arena passes), Samantha S. (Zoo Montana passes), Brayton F. (Sunset Bowl passes), Kamber K. (Toys ’R Us giftcard), Jadon T. (iTunes gift card), Everett D. (bookmarks pack), and Abby E. (bookmarks pack). Special thanks to all the Poly Drive students, parents, teachers and staff, PTA volunteers and pledge donors that participated in Read-A-Thon 2017, as well as the special guest readers, Mrs. Caskey and chairperson Mandy Williams. 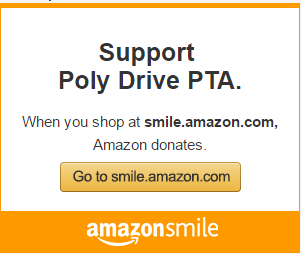 Poly Drive PTA extends a huge thank you to prize donors: Zoo Montana, Wise Wonders, Sunset Bowl, Chuck E Cheese, Centennial Ice Arena, Mrs. Caskey, and the Williams/Dayton family. The proceeds from Read-A-Thon go toward PTA-sponsored initiatives and activities, including Spanish Club, STEAM activities, 1:1 student computing, and the Talent Show.